Catching Pokemon got you down? Or do you just want to play Pokemon and at the same time not play the usual game of choosing powers per turn? Our list of Pokemon games may be just the thing you need to get your fix without the usual style of gameplay! Pokemon has become one of the world’s most successful video games. While the game may feel as though it ought to appeal to kids and young teenagers, there are almost just as many adults who still keep playing this well-loved classic. In fact, the success of Pokemon has led to capable fans even creating their own versions of the popular video game. These have triggered the rise of Pokemon role-playing games or RPGs. While the classic Nintendo versions of the game are still well-loved, people have grown to appreciate fan-made Pokemon RPGs because they provide a different approach to their favorite Pokemon games, offering features that aren’t present in the standard Nintendo ones. One of the best parts about them as well? They’re absolutely free. You might not know where to start looking for these great inventions. After all, how many could there possibly be? No worries, we have here some of the best Pokemon RPGs that you can start playing anytime. Deluge RP﻿﻿﻿G is an online Pokemon game that you can indulge in with the convenience of your web browser. It’s one of the more popular ones out there when you’re looking for Pokemon RPGs, so let’s take a look at why. This game allows you to catch, battle, and trade Pokemon with all the other players on the site. The gameplay is also based on the original Pokemon franchise gameplay, so learning how to get in the game won’t be too difficult, especially for seasoned players. It’s almost completely text-based, and there are certain features in Deluge RPG that players far and wide enjoy on this online game. One such aspect is the different Pokemon classes. There are different kinds of abilities present in Pokemon that fall in the Normal, Shiny, Dark, Ghostly, Metallic, Shadow, Mirage, Chrome, Negative, and Retro classes. If you want to discover endless ways to battle with Pokemon like these, then Deluge RPG is the game for you. Explore maps and discover countless Pokemon, either by yourself or with friends! Who the Game is Perfect For: Casual gamers who like turn-based and ready-to-play games would have a great time with Deluge RPG. Similar to Deluge RPG, Pokemon Creed is another Pokemon RPG you can play right from the convenience of your browser. While it doesn’t have much of a story arc, it’s a fun RPG for you to experience the life of a Pokemon trainer with its expansive maps and game options. When you’re not in the mood for exploring, you can always engage in Live Battles with your friends, complete tasks in the laboratory for prizes, or play mini-games in the Games Corner. There are a ton of things you can do in the world Pokemon Creed has to offer. That probably explains why it has thousands members and counting. Pokemon Zeta and Omicron – think Diamond and Pearl, if you’re wondering about the “and” – are another pair of fan-made Pokemon games with the same mechanics as the original Pokemon franchise. What makes Pokemon Zeta and Omicron differently, however, is that it comes with two full regions to explore, a new storyline, and a multiplayer function. Fans of the game are drawn by its unique features, including challenge modes like Randomizer and Nuzlocke. Interesting characteristics that make the game a little more challenging are that trainers don’t give out money when they lose, Pokemon Centers don’t restore PP, and you can’t flee from battles. While it sounds a bit challenging, the best part about Pokemon Zeta and Omicron is that anyone can play, as not all battles require much Pokemon gaming experience. 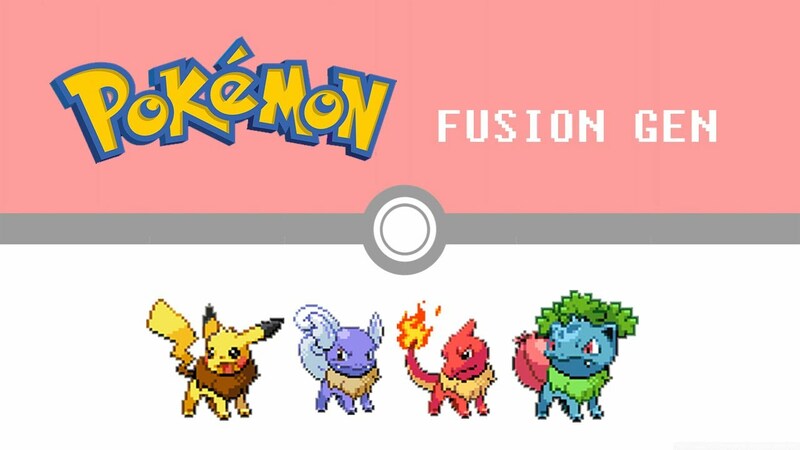 Pokemon Fusion Generation has exactly what its name proclaims: Pokemon fusion. This game lets you create countless unique Pokemon by fusing them together and watching their unique abilities come to life in a real Pokemon battle. Other than the fusion option, this game offers a unique storyline. It picks up after the original Pokemon franchise’s Ruby and Sapphire, where May and Brendan – one of whom you will be playing as – begin anew in Pallet Town. It is there that they are introduced to Pokemon Fusions and their creator Bill. As the main character, you have to battle several Pokemon trainers and their creations, as some of them use their fused Pokemon for evil. Once you’ve reached the end of the game and feel like you want another go, you can use it as an opportunity to let your imagination run wild and create countless Pokemon fusions! Pokemon AshGray is a hack from Pokemon FireRed. Its defining feature is that the developer created the game with the intention to reenact and turn the first two seasons of the Pokemon anime into an actual game. You may find yourself immersed in many familiar adventures, especially if you watched the original Pokemon series with Ash Ketchum. The game tries to do justice to many episodes in the series, so it’s quite different than most Pokemon RPGs in that you’re thrown into unique – or at least as unique as you can get despite plot points being from the anime – scenarios. Many fans of the original Pokemon series would enjoy this game, but even if you haven’t watched the series, it’s still a Pokemon game you should bite your teeth into. Pokemon Rejuvenation is a tad darker than most Pokemon RPG games, but fans don’t love it any less because of that fact. Its story is definitely something you would not consider traditional, but maybe that’s what gives it its appeal. One of its most notable features is its beginning. There is a very dark prologue (no spoilers here) where you actually play a character, and the whole scene is what gives you a glimpse of the challenge that your main character has to face. Overall, its story arc revolves around facing an organization that seeks to destroy the peace that has settled over the Aevium region. You play as the child of Nancy, a pop idol, who gets abducted in a ship attack. You must then choose among sixteen starter Pokemon to start on your quest. 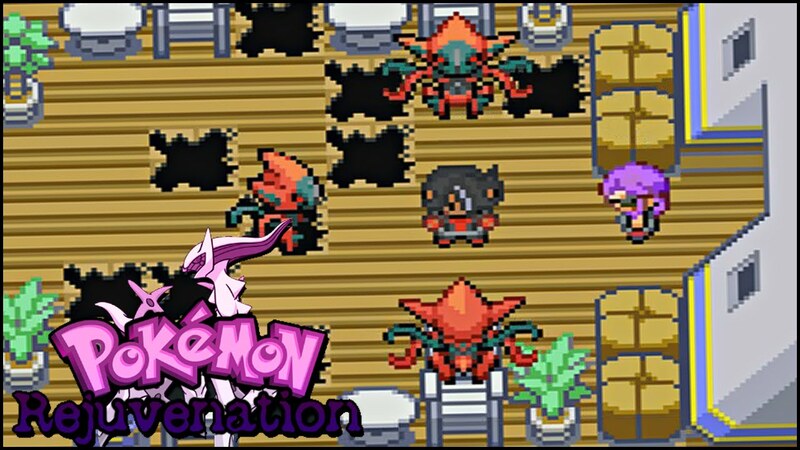 Play Pokemon Rejuvenation and find out how you can save your mother and the entire Aevium region. Pokemon Insurgence has been dubbed as the successor to Zeta and Omicron but with a much improved and advanced storyline. You play a character in the Torren Region, where dangerous cults of thieves and murderers thrive. The beginning of Insurgence is yet another non-traditional take, where you wake up to a mysterious voice begging you to open your eyes. You find yourself in a mysterious room where a Gengar is trying to erase your memories with Dream Eater. As the story progresses, you’ll find yourself thrown in interesting scenarios that are far from present in any traditional Pokemon game franchise. It’s also the game where you’re introduced to Delta Pokemon – strange Pokemon with unique and combined DNA (Fairy-and-Psychic-type Delta Bulbasaur, anyone? ), said to have been results of experiments by evil cults. Who the Game is Perfect For: Anyone who wants a new type of Pokemon to be trained and captured. Uranium is a Pokemon﻿ RPG whose gameplay is also based on the original Pokemon games. It has its own unique storyline that players have grown to love. You are 13-year-old from Moki Town. Your mom was said to have died in a power plant explosion, and your dad left you with an aunt while he traveled the region. Unlike many Pokemon beginnings, you don’t start out with dreams to become a Pokemon Master – instead, you need to become a Pokemon trainer in order to support your daily living. At first, you start your trainer life working as an assistant for Professor Bamb’o. You have to collect eight badges in order to join what is called the Tandor Regional Championship, finding all kinds of Pokemon along the way. As your journey progresses, however, you soon find mysteries surrounding the incident that took your mom’s life resurfacing. You’re suddenly no longer carrying out your journey as a trainer assistant. Your journey will soon be way past that. Let’s move away from RPGs whose gameplay is similar to the original franchise and talk about Pokemon RPGs with completely different play requirements altogether. First on the list is Pokemon Mystery Universe. If you’ve ever heard of Pokemon Mystery Dungeon – the spinoff based on the Nintendo games – then you won’t find this concept too new. If you haven’t heard of it, however, you’re in for a treat. Imagine waking up in the body of your favorite pocket monster. You’re a human being trapped in the body of Pokemon. You have been chosen to help save the Pokemon universe from Team Psy by traveling across dungeons, recruiting Pokemon friends, and discovering the reason why you’re the chosen one. Pokemon Academy Life in itself has a very interesting take on Pokemon RPG games because it’s a visual novel about a Pokemon Academy. You are thrust into an alternate universe where ten-year-olds are not sent away by their parents to become Pokemon trainers, but rather they are sent to school to learn more about Pokemon. Makes a bit more sense when you look at it that way. Here, major characters from the core Pokemon games are put together in a realistic, high school setting. You have the opportunity to take part in various story arcs, depending on the paths you choose as the novel progresses. Since there are several choices, you can replay the game over and over to see different results each time. Who the Game is Perfect For: Players who want to relive their Pokemon days as high school students. Take everything you know in dating sims and add in Pokemon, and that’s actually what we have here in Twitch Dates Pokemon. You play as an Espeon named Burrito and have seven dateable characters to choose from. Each decision you make alters your chances at each relationship you’re pursuing, so be careful with your actions. One interesting to note here is whatever result you choose in your first run of Twitch Dates Pokemon, you can carry it on to the game’s next installment. Replay the game again and again and see different endings through the choices you make. Who the Game is Perfect For: Players who want a love interest in the Pokemon world. It’s not everyday you run into a Pokemon tabletop RPG. Pokemon Pen and Paper is a tabletop turn-based roleplaying game which you can play with 3-8 people using the PDF provided for the actual gameplay. Here, you are free to create characters for the Pokemon world and act out their adventures. You can create trainers, breeders, hunters, and a bunch of other cool characters while exploring Pokemon worlds in your own adventure! While there are lot of Pokemon RPGs out there, the best ones you can play are those that really give you a good adventure. For those who don’t want to stray away from the traditional gameplay but want a different feel to the storyline, then AshGray, Insurgence, Uranium are for you. But why not go for a different Pokemon experience and try those visual novels like Pokemon Academy Life and Twitch Dates Pokemon? There are a ton of ways to start your Pokemon RPG experience. Choose from this list, and see where these games take you!